A brief reminder that three graduate students involved in our team will present papers on Tuesday 15 June at 10am. The meeting will take place at the CITÉ research centre at the Université de Montréal. The CITÉ is located in the main building of the Université de Montréal (Roger-Gaudry building), which is at 2900, Édouard-Montpetit Blvd. The main entrance to the campus is at the corner of Louis Colin and Édouard-Montpetit, which is where the Université de Montréal subway station is. The Roger-Gaudry building is at the right-hand side of the chemin de Polytechnique, which is the main access road to the main campus. Our premises are in the V wing of the main building, near its west extremity. Enter through door U-1 and take the Y corridor, the first one at your right. Follow that corridor to the end. The entrance to our premises is at your right (door V-13-1). 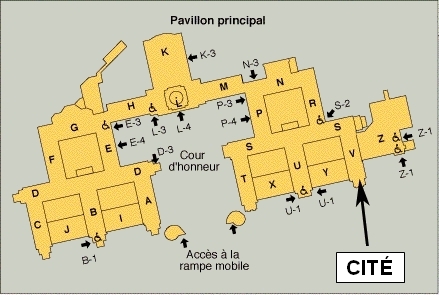 You can also enter the building at door Z-1 and follow the corridor until you get to door V-13-1.